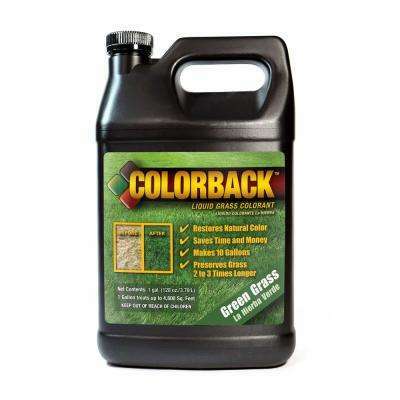 COLORBACK 1/2 Gal. Green Grass Color Covering up to 2400 sq. ft.
COLORBACK 1 Gal. Red Mulch Color Covering up to 12,800 sq. 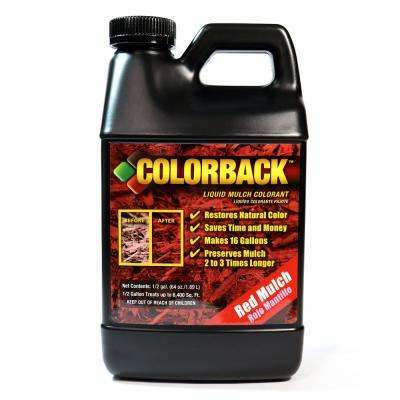 ft.
COLORBACK 1 Gal. Green Grass Color Covering up to 4800 sq. ft.
COLORBACK 1 Gal. Black Mulch Color Covering up to 12,800 sq. ft.
COLORBACK 1/2 Gal. Brown Mulch Color Covering up to 6400 sq. ft.
COLORBACK 1 Gal. Brown Mulch Color Covering up to 12,800 sq. 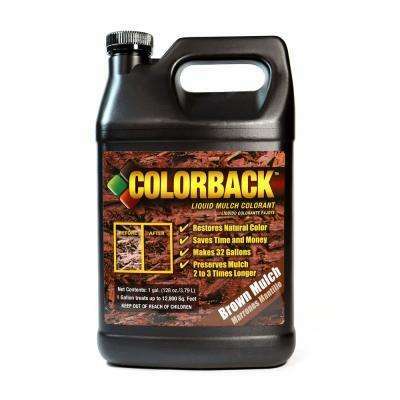 ft.
COLORBACK 1/2 Gal. Black Mulch Color Covering up to 6400 sq. 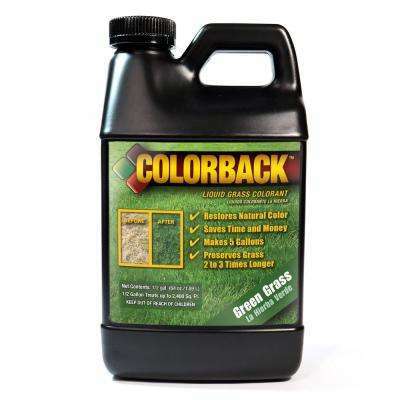 ft.
COLORBACK 1/2 Gal. Red Mulch Color Covering up to 6400 sq. ft.